Most importantly, Dumbledore and Harry work together to uncover the full and complex story of a boy once named Tom Riddle-the boy who became Lord Voldemort. Like Harry, he was the son of one Muggle-born and one Wizarding parent, raised unloved, and a speaker of Parseltongue. But the similarities end there, as the teenaged Riddle became deeply interested in the Dark objects known as Horcruxes: objects in which a wizard can hide part of his soul, if he dares splinter that soul through murder. Harry must use all the tools at his disposal to draw a final secret out of one of Riddle's teachers, the sly Potions professor Horace Slughorn. Finally Harry and Dumbledore hold the key to the Dark Lord's weaknesses... until a shocking reversal exposes Dumbledore's own vulnerabilities, and casts Harry's-and Hogwart's-future in shadow. 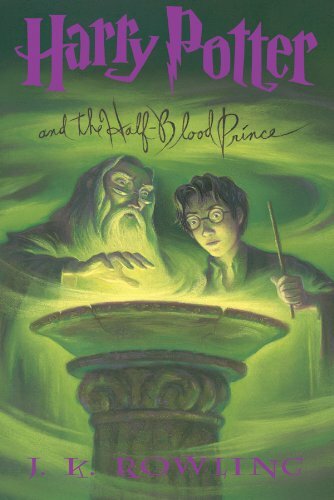 bennettgavrish (Grade: C+) Rowling raises the stakes as she builds to the climax of the series, but on its own, "The Half-Blood Prince" is a tepid piece of storytelling. The extended flashbacks via the Pensieve are clumsy, and the battles and revelations at the end of the book are underwhelming. Thankfully, the trio of Harry, Ron, and Hermione remain as entertaining as ever, as their friendship gains considerable depth. jrodriguez (Grade: B) Do not look at this as a children's book. It is not. The writing is not very outstanding, but the themes and story-telling in this book make up for any literary inaccuracies. yeahitskonnor (Grade: A) Love it!